By mid-century in Boston, the sweltering heat of July 2010 may be thought of as cooler-than-average conditions, as more days above 90°F routinely occur. 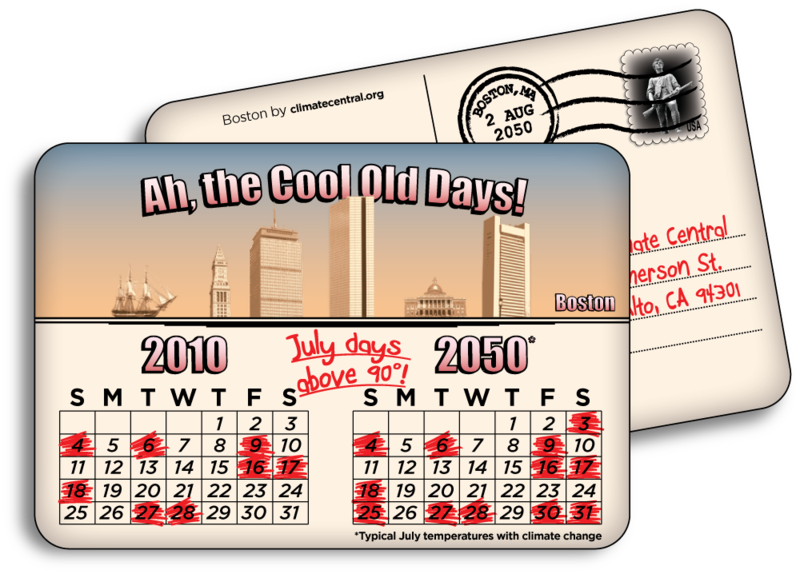 The 2010 dates on this “postcard from the future” for Boston are actual; 2050 dates are representative of average projections. Postcards are also available from the cities of New York, Philadelphia and Washington, DC.